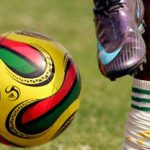 CAPS United made a huge statement of their title ambitions with a 2-1 victory over Bulawayo City in a Castle Lager Premiership tie at the National Sports Stadium on Sunday. 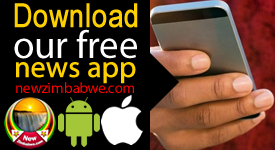 The Harare giants started brightly, launching wave after wave of attack with Ronald Pfumbidzai and Abbas Amidu who shone like a beacon yesterday taking turns to bombard their opponents’ goal with an assortment of shots. They deservedly went into the lead after five minutes with Simba Nhivi pouncing on a loose ball after Amidu’s effort was blocked to direct the ball first time into the nets. Amidu came back to haunt Bulawayo City after 18 minutes but goalkeeper Ndodana Sibanda was equal to the task. The visitors also had a good opportunity on twenty three minutes, but Mkokeli Dube was guilty of a miss. Caps United continued to press forward but Leonard Tsipa blazed the ball over the bar from five yards on thirty four minutes following a wonderful delivery from Ronald Pfumbidzai. Coach Lloyd Chitembwe brought in Cabby Kamhapa for Kudzanai Nyamupfukudza on thirty eight minutes with Bulawayo City coach Philani Ncube, also looking for an equaliser, bringing in Emmanuel Mandiranga for Muthulisi Maphosa at the same time. But it worked immediately for Caps United with Tsipa powering a header on forty three minutes for what appeared a comfortable lead. However, the visitors threw everything at the home team in the second half after Ncube pulled off Morris Kadzora throwing in Thomas Chimenya on 46 minutes. 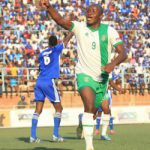 Chitembwe also made two substitutions replacing Amidu with Dominic Chungwa, while Tafadzwa Rusike made way for Leonard Tsipa on 60 minutes. 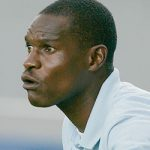 But Bulawayo City continued to pile pressure and Xolisani Moyo had the ball in the back of the nets five minutes later but the assistant referee flagged for offside sparking protests from the visitors. Their persistence eventually paid off with Mandiranga pulling one back with a powerful header off a cross by Innocent Kutsanzira. After the goal, the visitors dominated play and threatened with some fine raids. But to their credit, Caps United remained resolute in defence. 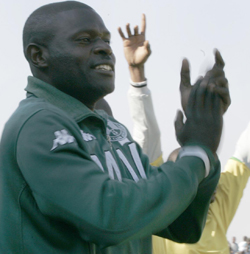 Ncube said: “We lost 2-1 but not to a better team,” he said. “We conceded a second goal and from my point of view it was supposed to be a goal kick but the referee said it was a goal. We scored a genuine goal but the assistant referee said it was offside. We are not under pressure and next Sunday by this time we will be 17 points,” said Ncube whose side takes on Dynamos in their next match.